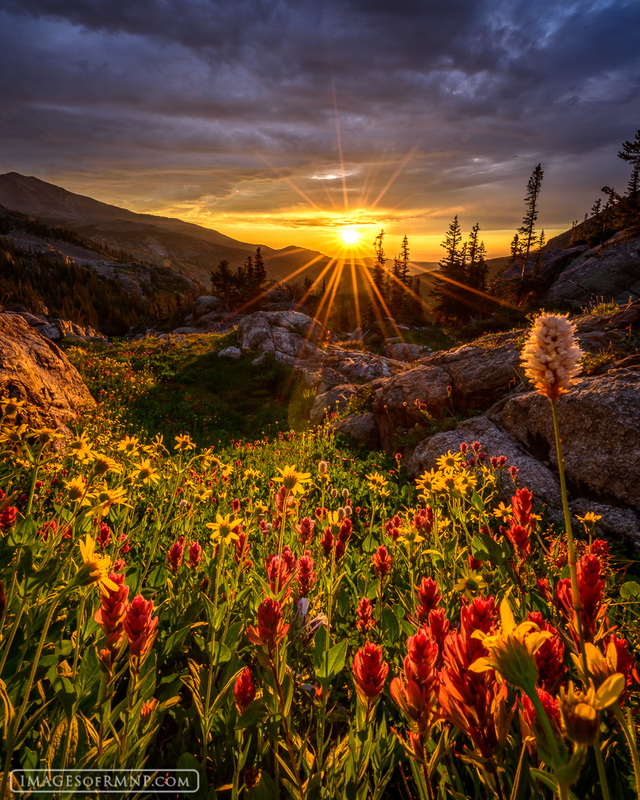 As the sun crests the horizon, the mountain flowers stand tall and turn towards it in awe and expectation. Aspen sunflowers, paintbrush and bistort seem to celebrate the arrival of the new day. They almost give the impression that they see the light beyond the light and the beauty beyond the beauty. Photo © copyright by Erik Stensland.